So yesterday was the Super Bowl. I don’t care about the actual game, but we had a few people over and had some food. The hit, as far as Amber and David go, was the Rolo-stuffed Ritz crackers. I found them on Pinterest. Easy, quick and quite yummy. But this post is really about the books I got in the last month, so here’s my list. 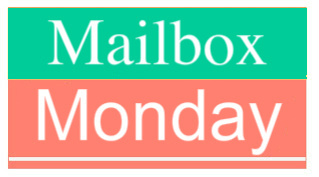 Mailbox Monday is now hosted on its own blog. Doesn’t seem like what you usually read, but who knows. It sounds interesting to me. I am intrigued by Boy, Snow, Bird! Those Rollo stuffed crackers sound yummy! Muppet Sherlock Holmes sounds like a fun read, will have to check it out! Could there be a more perfect book for you than Muppet Sherlock Holmes? I hope you love all of your new books! Exactly, how could I not read it? I saw Boy, Snow, Bird on another blog as well–really interested in getting my hands on a copy! Rollo-stuffed Ritz crackers sound heavenly–must tell my daughter about them. She’s always looking for an interesting, new snack. Those Ritz crackers look yummy! Happy reading, Boy Snow Bird looks good. Those ritz crackers look delicious! I keep seeing similar things with pretzels, but I think I’d enjoy the crackers even more. Amber wants to try the rolo between two pretzels and then dipped in chocolate. I love the Ritz crackers with the rolos inside…YUMMY. Nice books…I received Boy, Snow, and Bird too. I hope we like it. Those crackers sound delish! Hope you love your new books! I’ve read a couple. I might have a minor Muppets obsession. Those crackers look sooo good! Happy reading! I desperately need that gluten free-dairy free book! 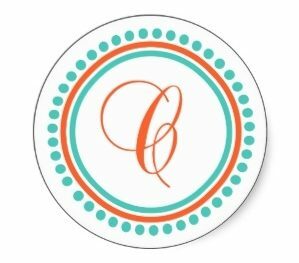 Getting ready to pin your snacks too!